I’ve been thinking since last weekend that I should write something up about the ELEAGUE CS:GO Major that just happened. This event was a watershed week for our business, but also a marker in my career. This is from my perspective, and I should be clear that this is from me, not my employer. Any opinions are my opinions, and not theirs. The facts belong to us all though. 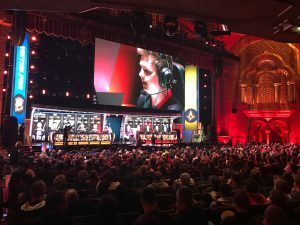 For those who might not be familiar, or weren’t following along, this tournament was one of the most successful in esports history in a number of ways. 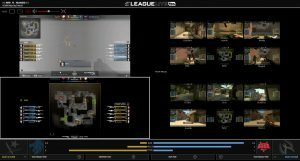 It was the first CS:GO Major tournament with a televised Final, which was on TBS here in the US. It was a tournament with some of the best and most competitive gameplay in the history of these tournaments, something we clearly can’t take credit for, but which is a testament to the state of competitive CS:GO. A team named Astralis triumphed in the end, and during that final amazing match, we broke the all time Twitch maximum concurrent users record for a single channel, smashing the previous high mark by over 200,000, and becoming the first channel to ever go over 1 million concurrents. There’s an awesome Instagram video, captured by a Twitch engineer friend, which captures my awkward enthusiasm in the moment that we crested that 1 million mark. 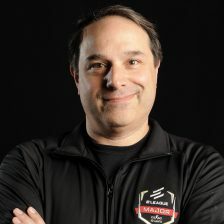 The tournament was held here in Atlanta, first at the ELEAGUE studio on our campus in midtown, with the quarterfinals, semifinals and finals then being held at the Fox Theatre, a venue at which I have attended concerts, plays, and even a movie or two. It was incredibly cool to work an event in my adopted hometown of almost twenty years. While I have worked many NBA All-Star games and golf events while working for Turner, none of them have ever been here in Atlanta. That somehow made this more real and meaningful for me. In many ways, this event was no different, from a work perspective, than one of the seven NBA “season starts” I worked on, or an NBA All-Star Weekend, or a PGA Championship, or the Ryder Cup that I wrote the software for onsite the week of the tournament. This event left a huge 14-day gaping hole in my life, every waking moment those 14 days I was thinking about or doing work. We spent well over a hundred hours the week of the tournament getting ready for each day, working the competition, and making sure that things were updated at the end of the night. These kind of hours have an impact of those around us, and I am more cognizant of that than ever these days. I’m not the only one in our home who is exhausted from the long days. I missed my kids and my wife, and they assure me that they missed me. When working with live sports or live events, this is how it is, what it takes to be successful. There are a multitude of details that need to be carefully tended to, and it has to be on a specific time scale that is not negotiable. I am incredibly proud of the entire team that worked on this event. There were no major outages, our Twitch stream stayed up with no downtime. We ran our Game Command player for more matches in a week than we’ve ever run it before. In fact, I believe we ran it for more hours for the Major than every other time we’ve run it combined. So with all this background information, what did this event mean to me? To understand that, I need to provide just a little more context. First, it was the culmination of an 18th month journey for me. I was asked to first help with, and then work on, Turner’s esports initiatives. I had an amazing job working on the NBA’s products in the US at the time, and I personally took a big chance on esports because I was passionate about it and ready for something new. I had no idea what it would turn into for Turner, and there were no promises about what my role would be moving forward. We started 18 months ago with a vision for what we wanted to do, and the rest has been a wild ride right into this weekend. I could have never imagined that Valve, the publisher of CS:GO, would choose us to host a Major in our first year of existence. I couldn’t have guessed, even the morning of the Final, that we would break the single channel traffic record on Twitch. So much of that relies on the quality of the matches, and the interest of the fans. If the match had ended after two maps, we never would have broken the record. In any case, even if we hadn’t broken that record, we’ve accomplished so much in a short period of time, starting from nothing, building a team, hosting events. Not everything has been perfect, nor has every decision been a winner, but we’ve learned from every mistake, and taken all the fan feedback very seriously, and I think it shows. That’s how we roll. So, this meant a lot to me, more in some ways than anything I have helped build in my career. 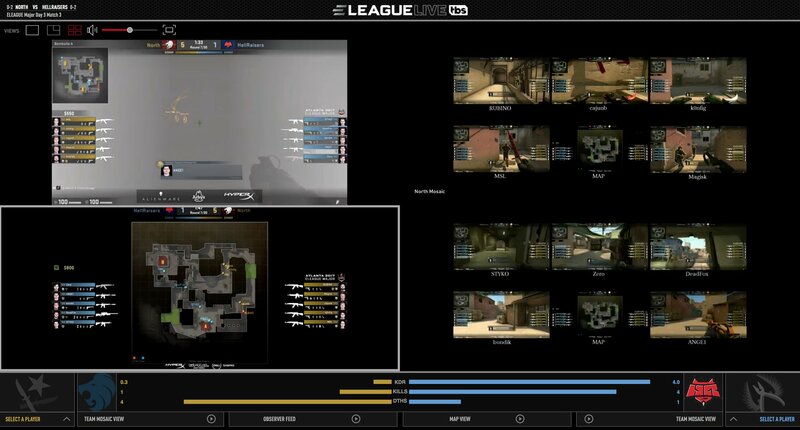 I may not work in esports forever, but the memory of this event, especially, across everything we’ve done with ELEAGUE in it’s first year, will always be with me, a reminder that if you just keep going and try hard, and do your best, good things happen. I don’t often post about work related things to my site. I’m averse to getting in trouble for expressing work related opinions on my personal publishing, and I have a lot more to lose than gain in that department. ELEAGUE has been a very interesting ride for me, particularly because I was literally the first person working full time on esports at Turner. I may be able to write more about that ride at some point, but I have to say that I’m really proud of what we accomplished right out of the gate. We’re not perfect, but we’re constantly learning, and will be better each time we do this.